You must be a member of the Montréal Mooove Group to attend this activity. Would you like to join this group? Come nightfall, treat yourself to a breath of fresh air and a cup of hot chocolate during this outing on snowshoes! Join us on this guided snowshoe excursion. 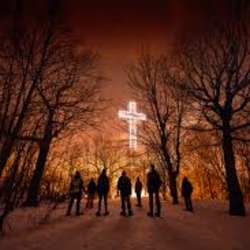 Discover the secrets of Mount Royal, its trails and breathtaking views of the city lights from amazing vantage points. - Please sign-up and pay beforehand to guarantee your spot. - Feel free to bring friends and loved ones!